A red leather-cased mirror light. When you opened the case, the light came on. Circa 1925. 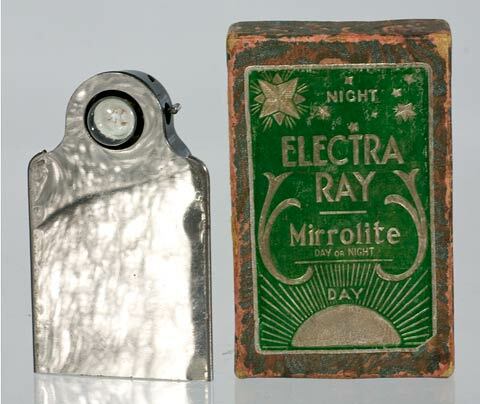 An English Electra Ray Mirrolite with original box. 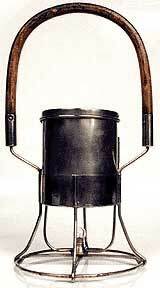 Carried in a purse and used by ladies to powder their nose. 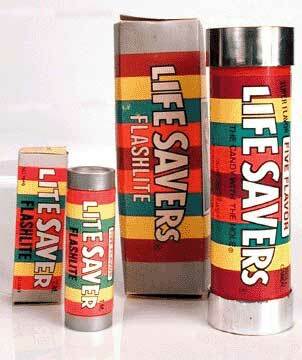 There are so many neat flashlights out there to find. These are just a few to get you started. You probably want to buy my book by now, so to order a copy, send $32.90 to Stuart Schneider, P.O. Box 64, Teaneck, NJ 07666. 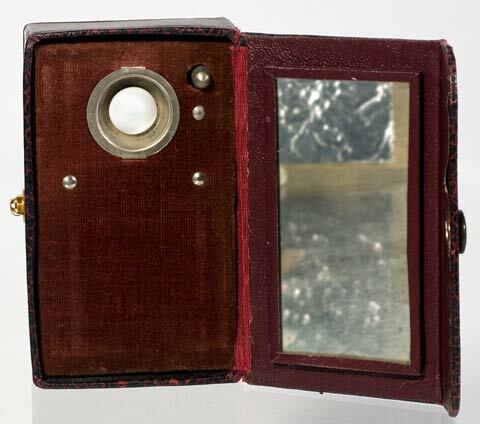 The Edwards Electric Lighted Vanity Case made in the late 1920s to early 1930s. Battery compartment on the left, then the light, & to the right, the switch. Leather over wood, 7 inches wide by 5 inches high. 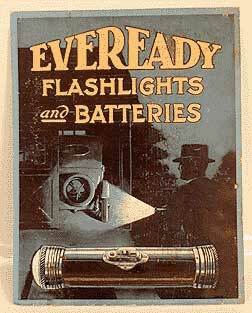 An Eveready Daylo diecut counter sign ("Daylo" flashlights were made between 1917 and 1921). 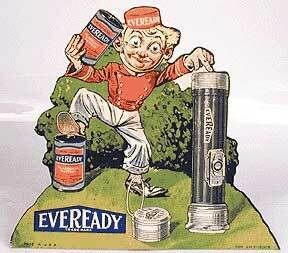 An Eveready cardboard sign from about 1915. 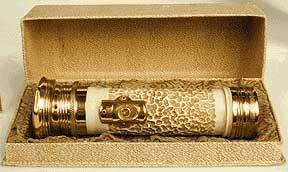 The Adams family flashlights were only available on Adams Family cereal that came out in 1992 at the time of their first movie. 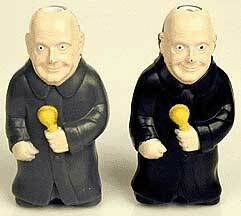 Uncle Fester was found in two colors. 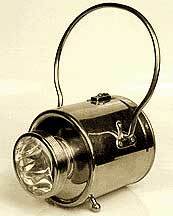 These were inexpensive plastic lights that held 1 "AA" batteries. 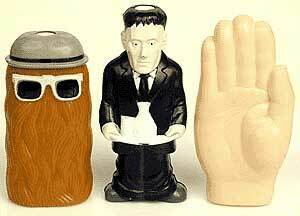 Besides Fester, there is Cousin It, Lurch The Butler and Thing the hand. Above and below, they are all flashlights. There are more bottle shaped and product lights that can be found. Made from the 1970s to the 1990s. 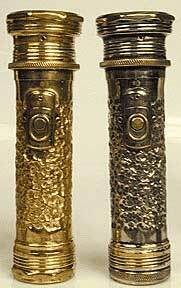 A wonderful 1925 Yale double header flashlight with a light at each end. It used three "D" cells. Two French lights - A Pygmy hand dynamo light (on the left) made in the 1930s or 1940s and a rare 1935 Dynapoche (shown open and closed). The lever was squeezed to make light. There are quite a few hand dynamo lights available to the collector. Some are very common, while others are much harder to find. A nice piece for any collection are the ca.1928 Collins or Campbell dynamo lights. You wind them like a watch to make them run. 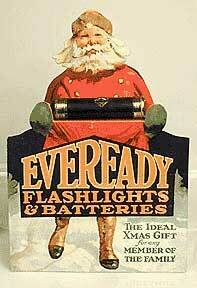 A very rare 1916 Eveready Inspection light. You could poke it into a furnace or into a throat to light up the area. If you removed the bulb and put a platinum filament on the end, it would light your gas lights or the old fashioned gas stove (no pilot light). The middle light is a 1916 Franco lantern with a great design and the last is a Conger lantern from about 1918 with a wooden handle and a formed tin body that was used on the railroad. The Godzilla light also roars. It was a Duracell premium for the last Godzilla movie. 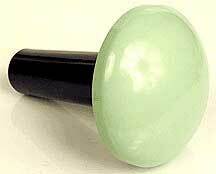 The Ice Cream Cone light is just one of those neat novelties that gives no clue who or why it was made. 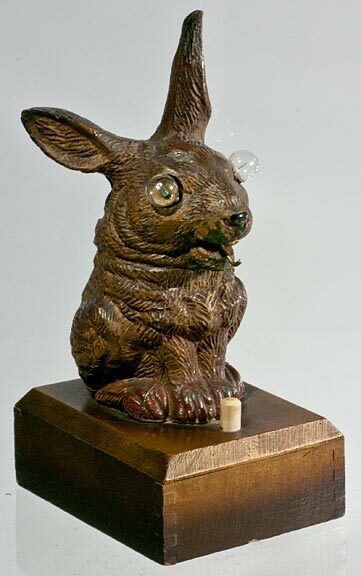 The Rabbit is Austrian and made about 1920. 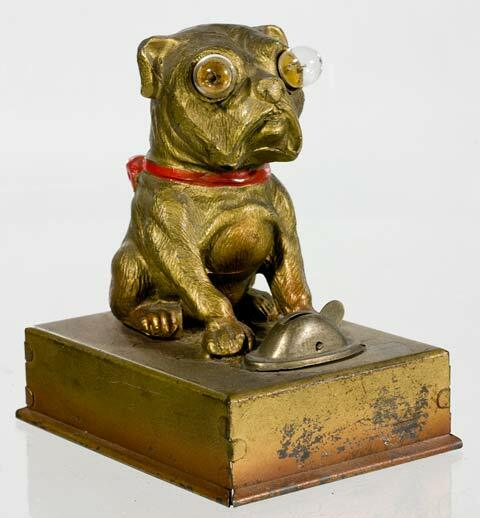 The Bull Dog was made in Austria abut 1930. 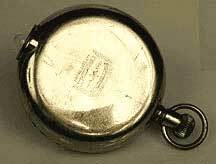 The 1915 Bright Star Pocket Watch Flashlight almost bankrupt the company since it cost so much to produce and no one bought them. This is a rare light. 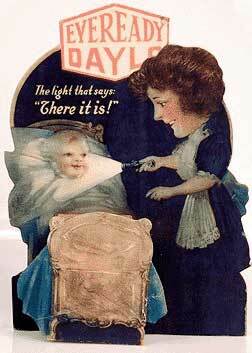 An English sock darning light called the Darn-O-Lite. You slipped the sock over the top and the light let you see the hole in the sock. 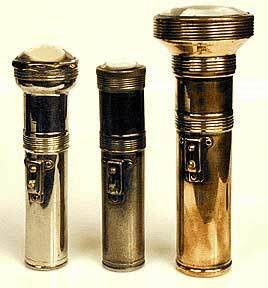 A trio of 1930 Winchester/Bond presentation lights. 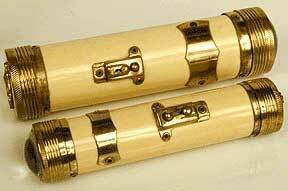 Gold plated, Silver plated, and ivory finish. 2 "D" cell. These can also be found with the Barney & Berry name or the Rexall name stamped on the end cap. Kwik-Lite made a group of great lights. Most of them open in the middle like those on the left, while the ones on the right were made as presentation pieces with an engraving plate. They date from 1918. Books #3 on Flashlights, Picture Frames & Halley's Comet| Ghosts In The Cemetery| Waffle Recipes| Links Copyright 2010 through 2019 by Stuart Schneider. Do not use any parts of these pages without written permission.